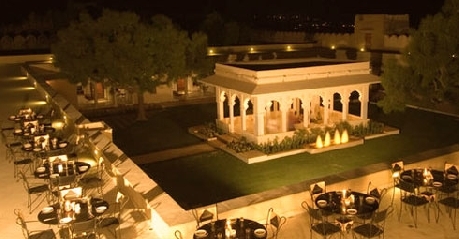 The Fort of Sardargarh, now known as Heritage Hotel Sardargarh, was built by one of the most skilled Dhodhias, Thakur Sardar Singh during 1738 to 1743. Impressed by his work in 1743 the then King of Udaipur Maharana Jagat Singh – II appointed him for the construction of Jag Niwas, now known as Lake Palace. The fort originally was built in Chuppun forest in the village of Lawah. The nearest religious point is Devnarayan Temple, while the famous Nathdwara Temple is about 45 km away. 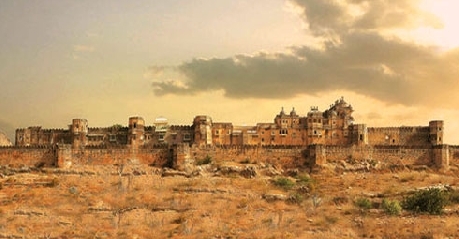 You can’t miss the heritage of Kumbhalgarh only 67 kms away or Ranakpur which is 80 kms from the hotel. 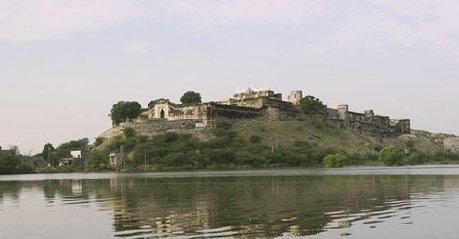 The main Udaipur city is 94 kms away, which is known for its lakes and heritage architecture. To reach the hotel take a cab from Maharana Pratap Airport which is km away or from Udaipur railway station which is about 94 km away. The castle still boasts about it architecture marvel of underground passage systems, halls, stores and granaries. 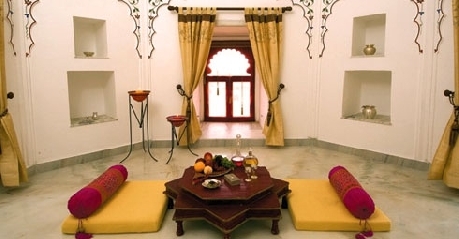 Zenana Mahal were the living quarters of the queens who resided in Sardargarh. Today the 21 suites are now part of this Heritage hotel. 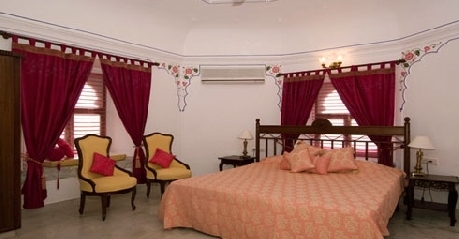 Every suite is given a name of a queen and is showcased as a tribute to their living style, colors and décor. 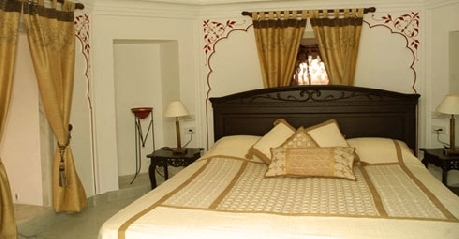 The suites have a bedroom with king size bed and a separate sitting area. 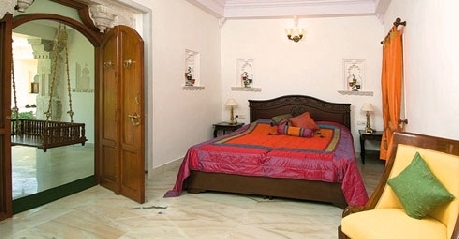 You have the option to choose any of the suites which has balcony view of Lake Manohar Sagar or which has verandah with a swing facing courtyard or which has bay windows that opens to Sardargarh Village or which has balcony that opens to hotel greenery and swimming pool. 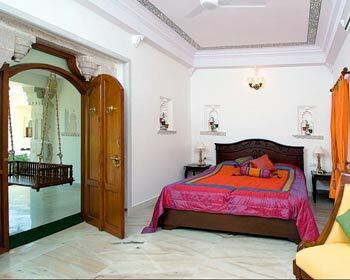 In every suite, an authentic element of that particular queen has been preserved till date; it could be antiques, doors, mantles or even pillars. The In-room amenities at your comfort are – fully air conditioned rooms, refrigerator, TV with satellite channels, tea coffee maker, direct dial telephone facility and mini bar. The attached bathroom has bath tub to soak in and other essential luxury toiletries. 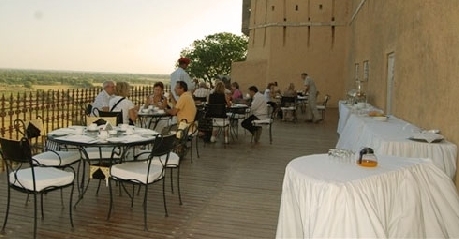 The fort has in-house restaurant that serves authentic Rajasthani style cuisines.